Kelly Pickel graduated from Villanova University with a Bachelor of Science in Biology, and from Trevecca Nazarene University with a Master of Science in Physician Assistant Studies. 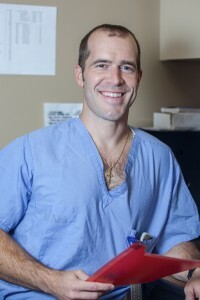 He spent several years in the research field before moving to Nashville and taking a position with Vanderbilt University Medical Center in the orthopedic trauma department. Additionally, he worked at Skyline Medical Center in their orthopedic trauma department. Kelly can typically be found at Maury Regional Medical Center assisting our physicians with their daily surgeries.